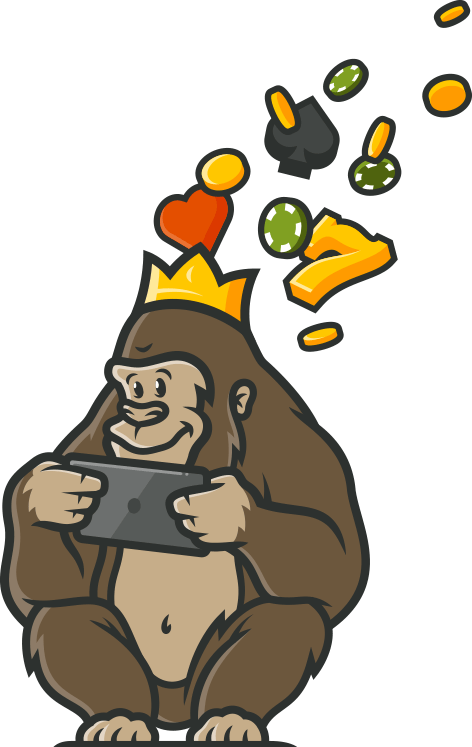 The Casino Gorilla loves nothing more than playing casino games and scoring some nice, big wins! One day he was playing at Cheeky Riches Casino and decided to try his luck at one of the progressive jackpots. He couldn’t believe it when he won the big jackpot! No one else could believe his luck either – he’s got some cheeky riches of his own now! Some of the perks available from the VIP club/loyalty scheme include exclusive promotions, higher deposit limits, faster withdrawals and special gifts. Before you go ahead and claim your deposit bonuses, remember there are terms and conditions. It’s a good idea to have a read through these so you know exactly what’s on offer. The terms and conditions also listed any requirements or restrictions that apply for those claiming the bonus. With free spins, you get to spin for free and you can still win real money! As mentioned above, Cheeky Riches Casino gives you a huge 200 free spins as part of its welcome package, but the free spins don’t stop there. The casino has plenty of regular promotional offers, some of which offer you free spins. At the time of writing, for example, there’s a promotion focusing on the Wolf Gold slot. Deposit £20 and you’ll get 20 free spins to use on the slot; deposit £40 and you’ll get 50 free spins. You may have come across bonus codes before. They’re really easy to use, plus they entitle you to a free bonus. They’re short codes that you just enter into the required field when signing up or making a deposit. Once you’ve done that, the bonus will soon be yours. Cheeky Riches Casino doesn’t seem to require codes for any of its special offers. The casino’s line-up of slots is large and diverse. Some of the many slots you can play here include Action Bank, Golden Grimoire, Butterfly Staxx, Rainbow Riches, Bonanza Megaways and Aloha! Cluster Pays, to name just a few. A handy feature of Cheeky Riches Casino is the ability to filter the slots by payouts. Check out the Live Dealer category and you’ll find the casino’s live games. There’s quite a good collection here, with some 30 options available. You’ll find live versions of quite a few table games, from blackjack and roulette, to baccarat, Caribbean stud poker, dragon tiger, three card poker and more. You’ll also find two live games developed exclusively by Evolution Gaming: Dream Catcher, a live money wheel game; and Football Studio, a fast-paced card game played out in a studio themed to football. Cheeky Riches Casino is readily available for mobile users. You can access the mobile casino through the web browser on your smartphone or tablet. You’ll find that a good selection of the casino’s most popular games can be played on mobile devices. The line-up of options available to you will vary depending on the country you’re in. If you’re using Boku mobile, there’s a 15% charge for all deposits. All other deposits and withdrawals are free. You’re allowed one withdrawal every 24 hours. Withdrawal times vary; e-wallets such as Neteller and Skrill offer the shortest wait times. Cheeky Riches Casino takes player safety and security very seriously. The casino has two gambling licences to cover its operations, one from the UK Gambling Commission and the other from the Gibraltar Gambling Commission. To protect players’ details and data, the casino sticks to a number of strict policies that meet EU and UK standards. The phone line and live chat feature are both available daily between 8am and midnight. If you send an email, you can expect a reply within 24 hours. Cheeky Riches Casino is an online casino that aims to make gambling fun and enjoyable for everyone. This casino has an impressive collection of games on offer, not to mention a very generous welcome offer for new players and plenty of regular promotions to sink your teeth into. There’s also a rewarding loyalty scheme offering all sorts of perks, bonuses and freebies. If you like having lots of games to choose from, Cheeky Riches Casino could well be the online casino for you! Sign up to this friendly casino and be sure to make the most of your welcome offer. 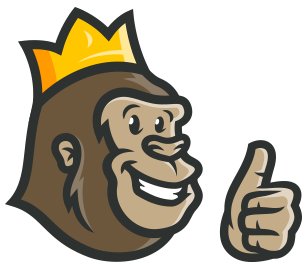 It’s safe to say the Casino Gorilla was delighted with his progressive jackpot win at Cheeky Riches Casino. Was he going to stop playing casino games now that he’d won so much? Of course not! He was just getting started at Cheeky Spins Casino and hopefully had loads more wins to come!